Engineering Case Studies | EMAC Inc.
EMAC is an acronym for Equipment Monitor And Control and we are an Engineering company that focuses on Real Time Monitoring and Control applications primarily using ARM processor architecture (SoMs & SBCs) and Linux with RTAI and Xenomai Real Time extensions. EMAC has hardware experience using high resolution 24 Bit ADCs, PWMs, Encoders, Power Drivers and PLDs/FPGAs. We also offer software services with Control & Monitoring applications, writing Real Time drivers, field bus communication and Graphic User interfaces in either Linux, QT, Windows Embedded, or Android. EMAC has an Off-The-Shelf line of SoMs & SBCs as well as in-house manufacturing, allowing for very efficient development of custom prototypes. These in house capabilities allow our clients to purchase production units directly after the prototype phase. Since 1984 EMAC has been helping companies bring innovative products to market on time and within budget. Our solutions are used in test & measurement, medical equipment, gaming equipment, broadcasting hardware, transportation, energy and utilities, government & military, agriculture, and industrial automation. We can provide hardware design, software engineering, prototyping, production manufacturing, and integration services based on your company needs with the convenience of US based design and manufacturing. 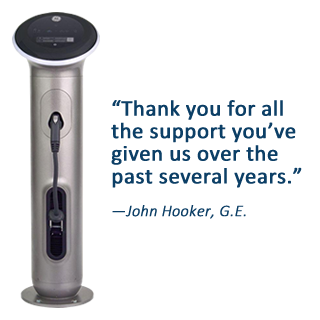 Contact an EMAC sales representative to get more information on how we can help you. A leading technology company specializing in management software solutions for supermarket chains around the world came to EMAC looking for an off-the-shelf inexpensive Linux based wireless Serial Gateway Server with no moving parts. EMAC quoted a system that required a Single Board Computer (SBC), a PCMCIA PC/104 module, and an eight port serial PC/104 module. In addition, they required an enclosure and power supply for a Turnkey approach. When we added up all the components of the system the price was prohibitive. EMAC then suggested a semi-custom solution. This is where we combine the functionality of other proven components into a single board design thereby decreasing the unit cost of the system. They gave us the go-ahead and we started the design. Since cost was a primary factor reducing the cost of chassis and power supply was key. We decided to leverage a known standard for small computers call ITX. ITX chassis tend to be treated as commodity computer equipment and therefore is less expensive. EMAC chose a Geode GX1 300 MHz processor as it runs Linux well and is relatively inexpensive. We chose to utilize mini-PCI to provide 802.11g wireless connectivity as it is less expensive than using a PCMCIA/Card bus alternative. To round out the system we added eight software configurable Serial ports terminating to eight RJ45 connectors. This allowed us to get all the I/O out the back of the unit using a custom made I/O plate. The system booted EMAC’s Linux distribution from Compact Flash disk, allowing the system to operate with no moving parts. Using EMAC’s semi-custom approach we were able to meet all of the customer’s expectations for the project. A Car Wash System Control company was looking for a way that they could have a custom terminal board with specific connector placement and the provision to change processors in the future if their application required more processing power. EMAC suggested that they use a System on Module (SoM) approach. System on a module (SoM) is an ideal alternative to custom engineering. With a SoM approach you get the best of aspects of both buying Off-The-Shelf and of a Custom Engineered solution. A SoM is comprised of a small processor module with CPU bus accessibility and standard I/O functionality. The SoM module has no connectorization and is designed to be plugged into a Carrier Board. The Carrier board contains the I/O connectors as well any other I/O requirement not provided on the SoM itself. This approach allows for a custom Carrier Board design, which meets the customer's I/O, dimensional, and connector requirements without having worrying about the processor, memory, and standard I/O functionality. Car Wash system Control wished to utilize Windows XP Embedded and as such required a higher end processor that drove EMAC’s selection of using a standard ETX module. Once the format was determined EMAC designed a custom ETX Carrier board to meet Car Wash system Control’s specifications. Included on the Carrier board were two Compact Flash sockets, Audio, USB, ATA IDE, Modem, PC/104+ connector, and an I/O coprocessor. Using a SoM approach allowed Car Wash system Control to choose an off-the-shelf processor module that met their current needs while allowing them a processor upgrade path for the future. They were also able to specify the exact dimensions, I/O functionality, connector type and locations of the Carrier board. The SoM approach was a great fit this project. When a Screen Print Automation company Automation was getting ready to design their new, next generation automated high-tech screen printer they came to EMAC the Single Board Computer (SBC) experts. EMAC set them up with a SBC connected to an LCD with Touchscreen with Linux on Flash Disk. In addition a Screen Print Automation company required distributed motor control of up to 16 motors. EMAC responded by adding a PC/104 dual isolated CAN board and wrote custom Linux CANopen drivers to talk to networked AMC digital motor drive controllers. The integration of all this hardware in a small embedded package from a single vendor was very desirable for a Screen Print Automation company. EMAC developed a high end PC/104 based Global Positioning System. The system supports two antennas and is being used by the military for sophisticated real-time positioning. The PC/104 module connects to a DSP module, which connects to a X86, based Single Board Computer used to store and format the data. The three boards plug together into a compact PC/104 module stack. After having EMAC develop a custom display system for their Rotary Torso machine and an inexpensive LCD display for their first Stair Step machine, a fitness equipment monitoring company contracted EMAC to design and manufacture their Deluxe Digital Display package for their new Hydra Step Stair Step machine. The Digital Display System monitors step travel, as well as steps-per-minute, floors climbed, calories, and time. The System dynamically controls step resistance in conjunction with the selected profile on the display. Changes in the resistance, simulates going up and down hills. After having units out in the field for more than five years, less than one percent have been returned for service. EMAC was contracted to design and manufacture a solid-state utility meter that could be read over the Internet for utility outage notifications. Con-Ed was very interested in using a solid state Power Outage Notification Device, but wanted one with certain modifications from what was available on the market at that time, One of their key requirements was the ability to call into their existing Voice/DTMF Recognition Unit. EMAC was contracted to redesign the unit to incorporate all of Con-Ed's additional requirements. The new device used an inexpensive microcontroller to generate and accept the DTMF tones required by the Recognition Unit without the use of a conventional DTMF encoder/decoder. In addition, the unit used the phone line to acquire the 50 uAmps of power required by the device, thus eliminating the need for a battery. The device was programmed using a custom Windows application also written by EMAC. Unlike conventional magnetic stripe cards, Smart ½ Cards have a tiny microprocessor embedded in the card. This allows a far greater amount of data to be held on the card as well as the ability to change that data at any time, provided you know the password or key to get into the card. A credit card operated vending system company called on EMAC's experience to develop an integrated Smart Card reader allowing them to participate in this growing technology. EMAC designed an eight layer PC board utilizing surface mount technology front and back, allowing the board (about 3" by 3.5") to be reduced in size to fit the space provided. The system is installed in soda machines, copy machines, washing machines, and video games, for use by students on college campuses. Not only is the system more convenient than using cash, but the student can get transaction reports of their expenditures. 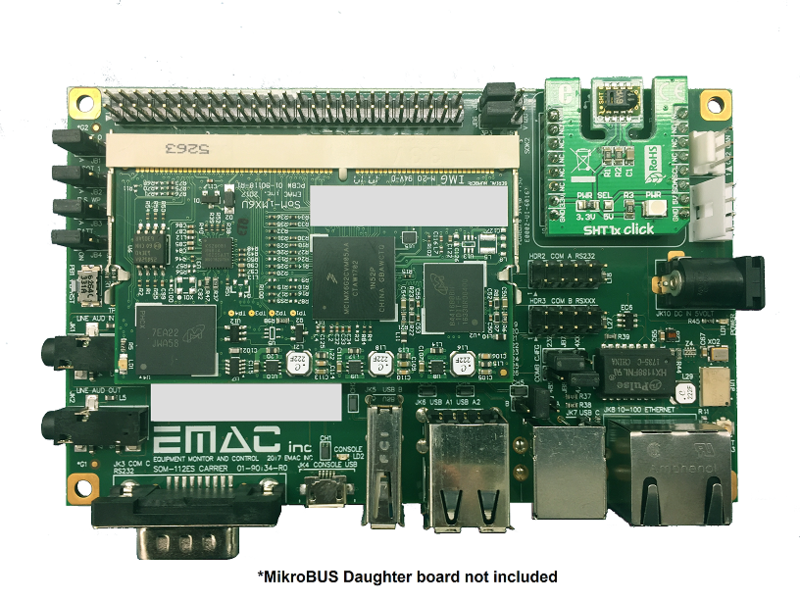 When an industrial detecting and testing company required a versatile Single Board Computer (SBC) with Analog and Digital I/O, which was both easy to program and inexpensive, they chose EMAC's MICROPAC 180 with MTBASIC. And when they needed an SBC with 24 bits of A/D, again they chose EMAC, however, this time they chose EMAC's Semi-Custom design services. EMAC took the MICROPAC 180 core and MTBASIC that was so comfortable with and added a 24 bit A/D, a few relays, and modified the firmware in the I/O coprocessor to pulse width modulate three valves. The result was a low cost product solution that can detect leaks in a Pneumatic system to 1/1000th of a PSI. The company wrote and maintains all the software and EMAC manufactures the units. A win-win for both companies. EMAC designed a low power X86 based PC compatible computer system to be used in golf carts. The system uses a GPS to indicate to the golfer his distance from the hole. This information is also sent wirelessly back to the clubhouse, using well established Internet protocols, where the course can be properly marshaled. Food and drink can also be ordered through use of the system. The computer is compact, yet rugged enough to stand up to the abuse of daily use. A Computer Products Corporation, which develops, produces and markets keyboard, video monitor and mouse (KVM) switch, extension and remote access products for use in the computer industry required the assistance of EMAC for a project they were working with. This product connects multiple computers to a single monitor, keyboard, mouse, and speakers. The operator uses an on-screen selection to determine which computer is connected. EMAC, designed the circuitry, developed the schematics, laid out the PC board, and customized the BIOS for the project. Both DOS and the video BIOS were placed in Flash with the system BIOS to conserve space. The system has the capability of booting from floppy, hard drive, network, or Flash and a Flash file system was incorporated to allow solid-state file storage. A custom Video Switching Coprocessor and on-board Ethernet were also added. The addition of Ethernet allows the unit to be setup via Telnet from anywhere on the Web. EMAC designed a residential utility meter that can be read over the Internet as well as locally through an Irda interface and is much more accurate than a mechanical meter. In addition to being able to be read remotely, the meter can also connect and disconnect power from the user remotely via the Web. A unique bus structure (Patent Pending) allows the meter to accept different communication modules for telephone, cable modem, RF, Cellular, and RS232. The meter also accepts different I/O modules that extend the meters capabilities to water and gas metering, home alarm notification, and power outage notification. A custom Visual Basic client/server application allows reading the meter and generating reports over the Web. EMAC was contracted by A Bottling Company to design an interactive Windows CE based beverage dispenser that would track usage and automatically request syrup refills when required. The system features an EMAC off-the-shelf Panel PC with 10.4” LCD and touchscreen, and in addition to controlling the dispensing of beverages can also play MPEG video commercials. CE Direct X video and audio drivers were custom written allowing the MPEG video commercials to play smoothly. In order to control the dispensing solenoid valves, EMAC custom designed a PC/104 based Valve Control board. This board features an 8-bit coprocessor that handles the precise mixing of water, Co2, and syrup. The Panel PC simply tells the valve control board which of the six beverages it is to dispense. The Valve Control board also keeps track of the amount of syrup usage and relays this information to the Panel PC. In addition to controlling the valves, the Valve Control Board features a Spread Spectrum wireless modem that is used to send usage information to a specially equipped EMAC Server In a Box (SIB). The SIB is used as a gateway and can communicate information sent by the Panel PC to a Central Server over the Internet via Ethernet or Phone connection. EMAC wrote a custom Visual Basic program that handles, stores, and reports the information sent to the Central Server from the SIB gateway. When a century old broadcast company decided to build their next generation high end Audio Mixer they came to EMAC to design the new processor core module. The system had a number of constraints, PC board size, cost, hot swappable, and reliability. The system also had to run Win CE and be able to load the Operating System via Ethernet on Demand. EMAC choose the new AMD embedded processor the SC520. This processor replaces the older 486 DX5 133Mhz CPU. The SC520 is faster and runs much cooler than its predecessor. In addition the SC520 provides an SDRAM controller, PCI and ISA busses, two serial ports, and one high speed Synchronous Serial Interface (SSI). The SSI played a key part in decision to use the SC520 as they wanted a high speed, yet simple interface to the Mixer FPGA. The SSI fit the bill and worked out perfectly. EMAC used an Alpha/Beta approach. An Alpha board was designed with additional debug and test hardware added. Since the Alpha board has no size constraints the board could be made large enough to hold the additional circuitry. Although the production Mixer would be a "Headless Design" (No video or keyboard/mouse), the Alpha was designed with video (C&T 69000) and keyboard/mouse. This allows a robust platform in which to develop code and do proof of concept. At this point EMAC did the CE 3.0 port and completed the Ethernet Enabled Boot Loader. Once the Operating System and all its drivers are fully functional, Microsoft development tools can be utilized. By EMAC delivering the hardware with the Operating System fully operational and tested, which is the hardest part of using CE,they were moving full speed ahead with their application. Once the Alpha was approved, EMAC started the task of creating the Beta board. The Beta board is very similar to the production units in size and functionality. EMAC required only one PCB revision for both the Alpha and Beta boards and the Beta board had not a single mod-wire. Since the Beta board had no design flaws the broadcast company was able to move straight to production. Since production quality at this company is paramount and the annual production quantity was several hundred units per year, they decided to have EMAC do the manufacturing as well as the design. EMAC with its own in-house production line can handle large production runs and is committed to continuous improvement and quality. EMAC only manufactures boards in which it designs, assuring an intimate knowledge of the hardware which translates into a high yield, high quality production runs. When an internet media company needed someone to develop a CE based Internet Radio they knew where to look. EMAC was given the task of developing an inexpensive yet hi-fidelity Internet Radio running CE 3.0 with Direct X. The Internet Radio differs from other streaming radio products in that it is designed to be a Stereo Component with RCA output jacks, not a tabletop appliance. The unit was equipped with both 10/100 Base-T Ethernet and a 56K modem allowing it to receive streaming MP3 content from a network or phone line via the Internet. A small graphic LCD and keypad arrangement allows easy selection of audio content. EMAC decided to use the new AMD SC520 processor in conjunction with on-board flash, SDRAM, and a high-end PCI Creative Labs sound chip in the construction of the unit. The AMD processor has the horsepower (66 MHz Front Side Bus), is highly integrated (SDRAM and PCI bus controllers) and does not require a heat sink. A separate co-processor was used to control the LCD and keypad. When a global provider of networking and industrial data communication products needed a x86 compatible version of their popular Real Time Server, they sought out EMAC, the x86 experts. EMAC designed a new x86 platform that would allow them to deliver their server preloaded with Windows NT Embedded, XP Embedded, CE, or Linux residing in Flash Disk. The X86 version of the server features 10 serial ports, a modem port, 10/100 BaseT Ethernet with downstream switch, parallel printer port, USB, Irda, keyboard/mouse, and optional PCMCIA expansion. The unit features no moving parts assuring high reliability for 24/7 environments. In addition to designing the hardware, EMAC also modified the existing drivers forthe 8 COM Rocketport ASIC, allowing the drivers to operate on the new x86 platform. The server is a fully programmable serial gateway allowing Ethernet connectivity to serial (RS232/422/485) devices. The fact that unit can be easily programmed by the user, allows any serial data protocols to be standardized and sent to a host via Ethernet or Modem. By supporting most popular operating systems, the user can program the unit in whatever development environment that he or she is comfortable in. When it came time for a world class manufacturer of poultry production equipment to develop a new fully automated hatchery system they chose EMAC to provide their embedded system. EMAC's experience with web enabling devices using our Server-In-a-Box (SIB) technology was a critical component in the design. Using this technology EMAC is able to Web enable serial controller based systems. The old system required that they fly around the world to the remotest parts of the earth to troubleshoot their hatchery systems. The new system developed by EMAC allows them to fully troubleshoot the system via the web, or where the Internet is not available to dial in directly to the system, similar to dialing into an Internet provider. The system uses a SCADA approach where all the real-time control is performed by a custom controller board designed and manufactured by EMAC. This board controls temperature and humidity to a tenth of a degree, controls three phase motors for the pulsator fans, and a hydraulic system for the egg turner. A graphic system communicates with the Controller board in order to interrogate the system. The Controller board communicates via isolated RS485 using UDP/IP protocol to a Front Panel Display and an SIB. The Front Panel Display is a 486 PC-SBC running a Netscape browser on Linux OS. It uses a 7.7" LCD with Touch-screen and all of Netscape's chrome/controls have been cut off. When a user uses the Front Panel Display the user has no idea that he is using a Browser based interface. The controller connection to the SIB provides the user with remote access to the system. The system can be comprised of up to 200 Controller boards and the SIB provides a window into the whole system. Using a client system running a browser connected to the SIB either through network or dial-up, the user can select the unit, and pull up information on that unit as if they were in front of the machine. The beauty of the system is that you are using the same graphics and user interface for the local user interface as for the remote user interface.